What is the Theory of Collective Action? How can Hip-Hop Culture be an Effective Tool for Community Empowerment? 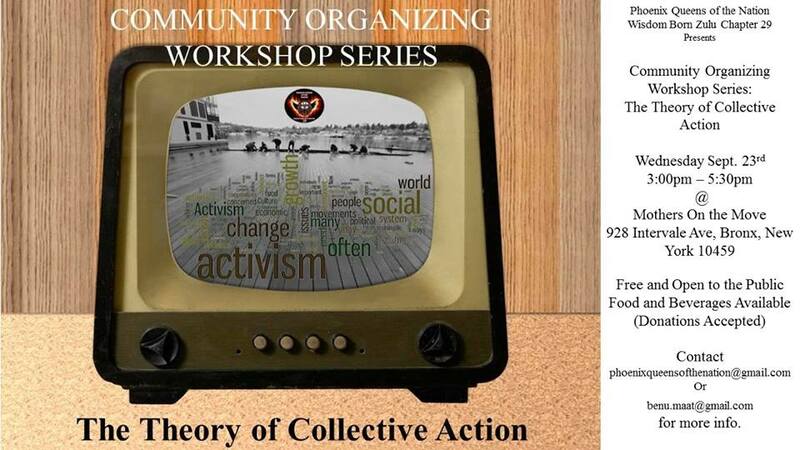 The Community Organizing Workshop Series is a monthly program designed to be a platform for community development, education, empowerment, engagement, and organization on the grassroots level. An initiative born out of our Hip-Hop Pedagogy Community Education Program this first installment of the program will provide a participants with a working definition of community organizing while also exploring its guiding principles; highlighting the importance of bringing Theory to Practice in order to secure concrete, self-sustainable change to our communities.